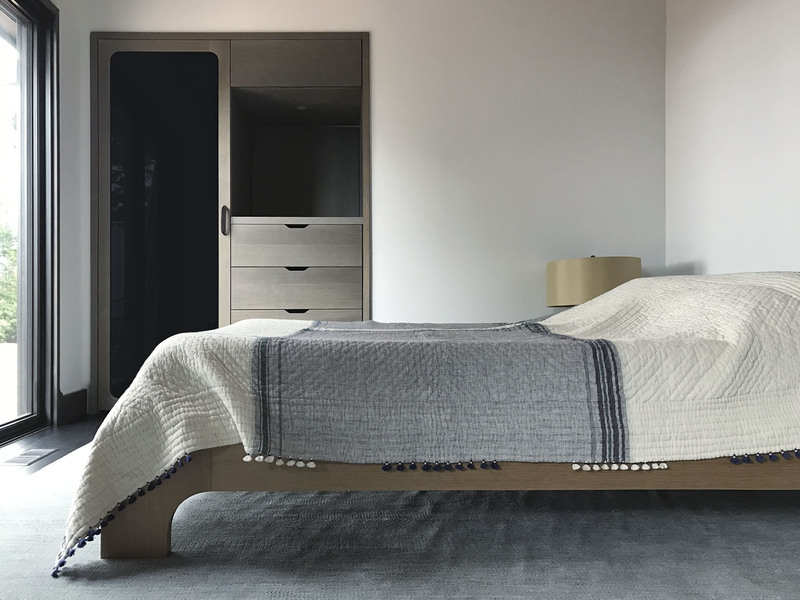 … welcoming to walk into, beautiful to wake up to, a graceful space for dressing – and well-designed to meet your specific needs and space. 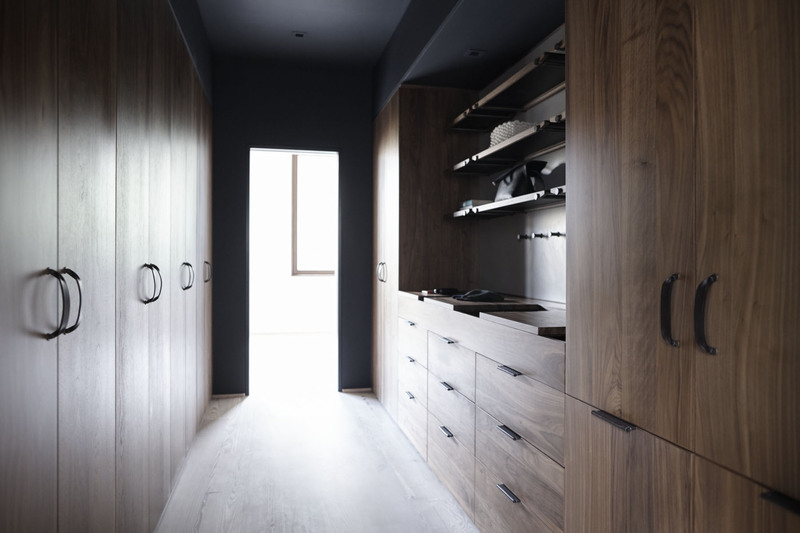 This walk-in space maximizes hanging and drawer storage, with a Henrybuilt valet. 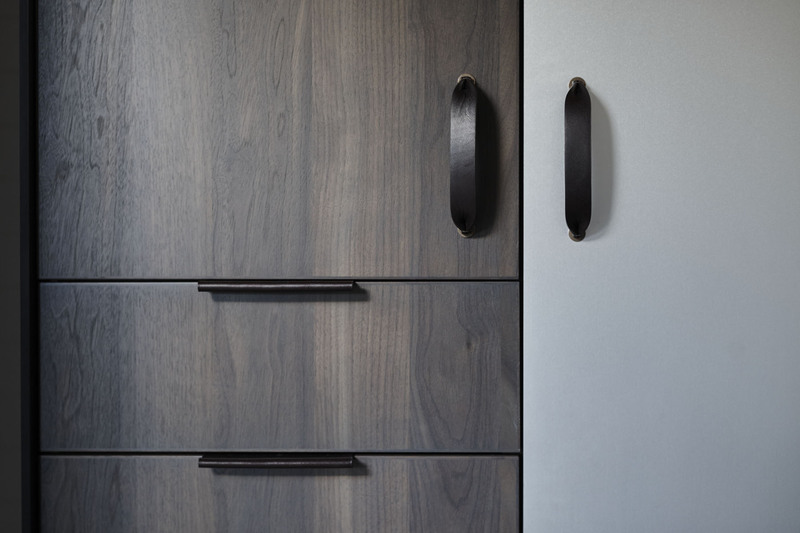 Our Opencase system provides interchangeable shelving fittings on the wall above. 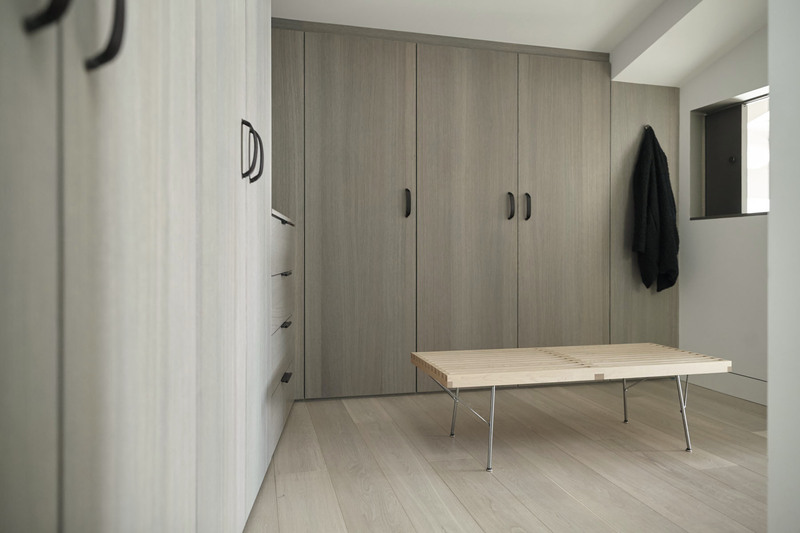 In some cases, concealed storage with a large space for dressing and moving about is the priority. 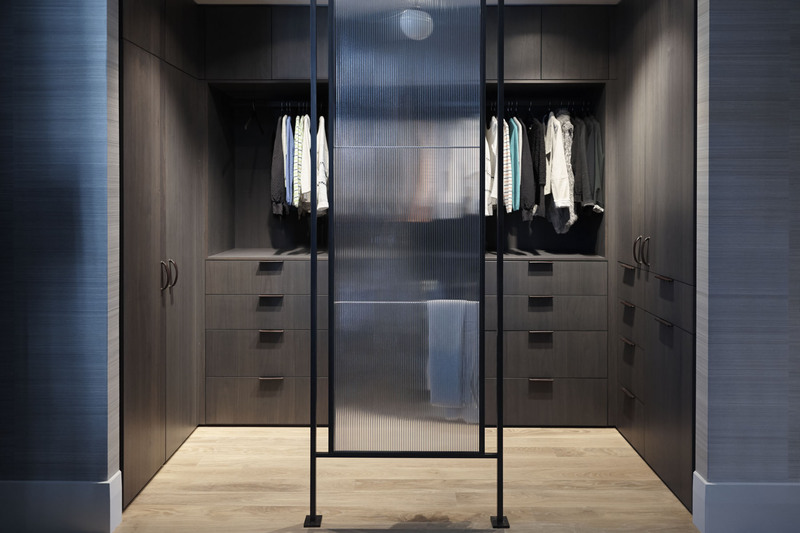 This wardrobe is optimized for dressing. 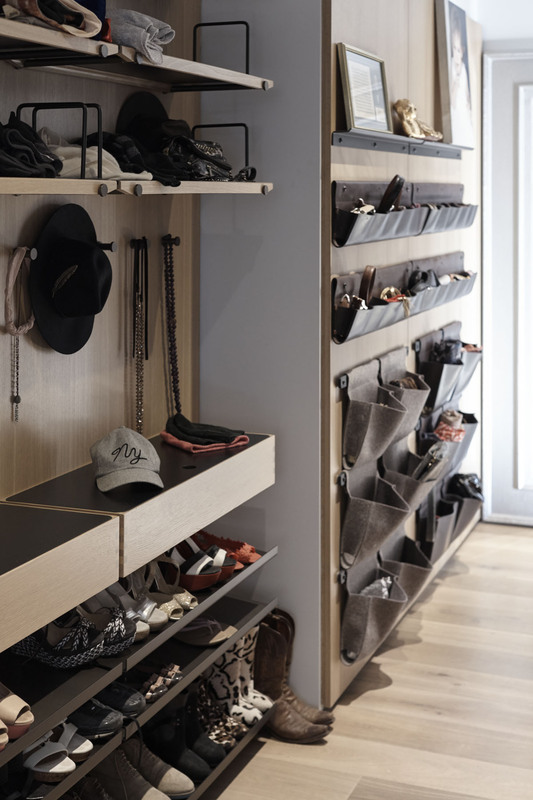 Our movable valet trays allow for a surface for clothes, jewelry, a hairbrush – while getting dressed, with leather-lined storage underneath the trays for special or often used items. 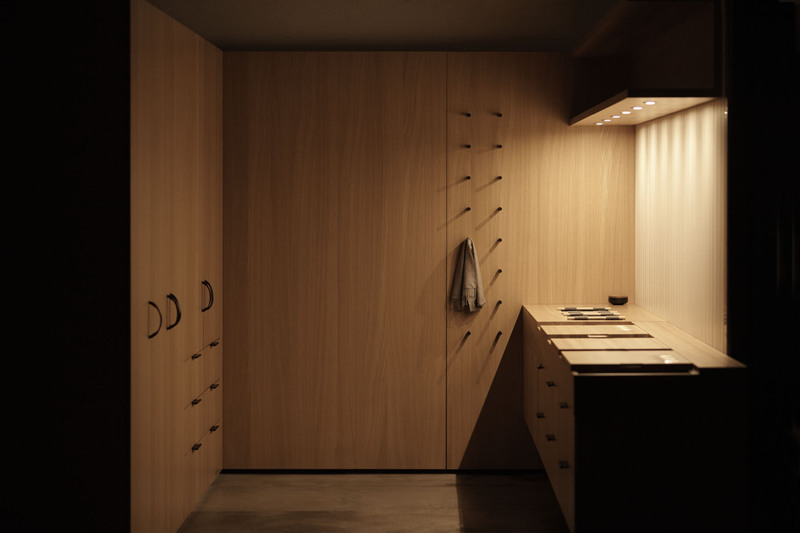 Here, tall storage units become monolithic forms within the architecture. 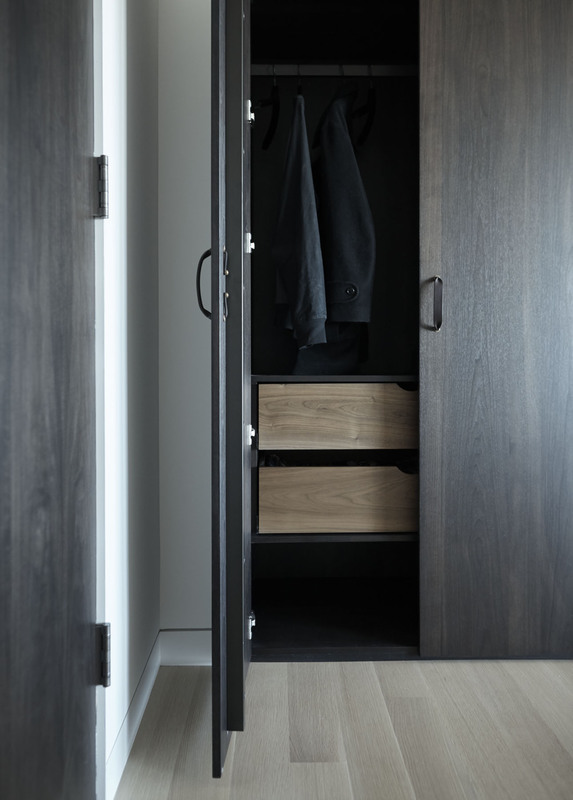 …and the wardrobe, are truly one. 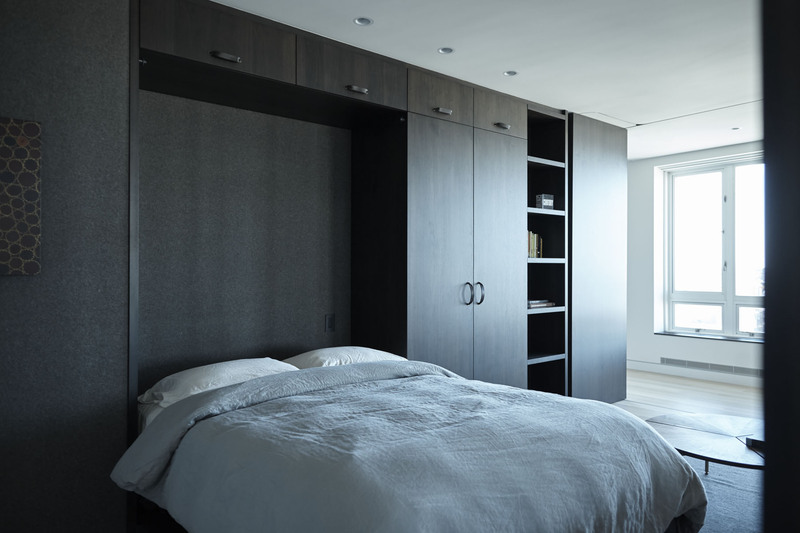 A Henrybuilt designer will work with you to design a solution that works for your specific situation. Not just a solution, but a particularly exceptional one that will increase the enjoyment of living in your home, every day. And stand the test of time in terms of design and quality in every respect. 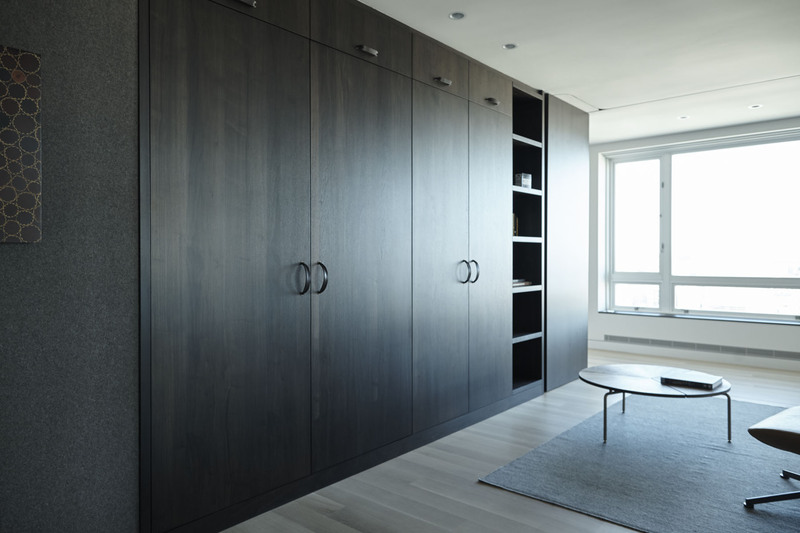 At a detail level, there are many Henrybuilt fittings that enhance the functionality and feel of your space. 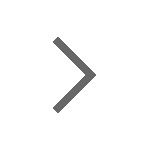 Here – a concealed hamper. Hampers can also be built into our valet surface, as shown here. 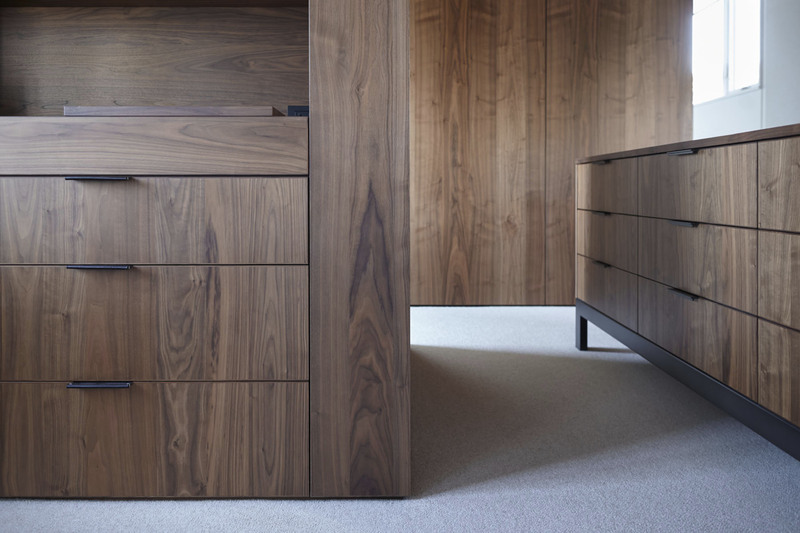 The valet, with sliding solid wood trays, is one of the most elegant and distinctive parts of our system. 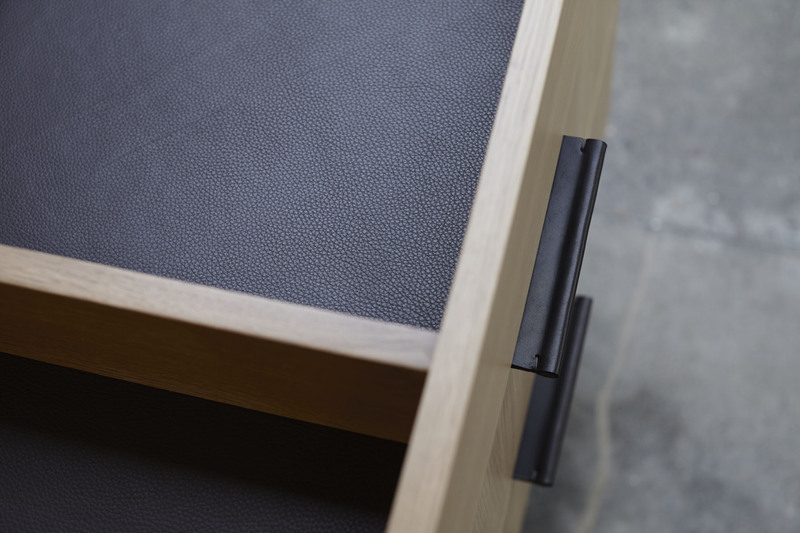 The bottom of the valet is leather lined, to provide a soft surface for jewelry or watches. 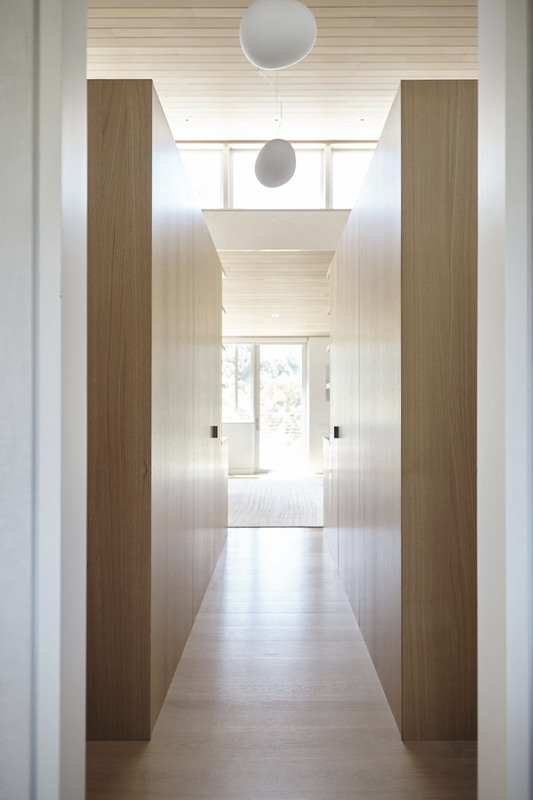 The subtle combination of materials and forms in the system, allow for a wide range of look and feel. 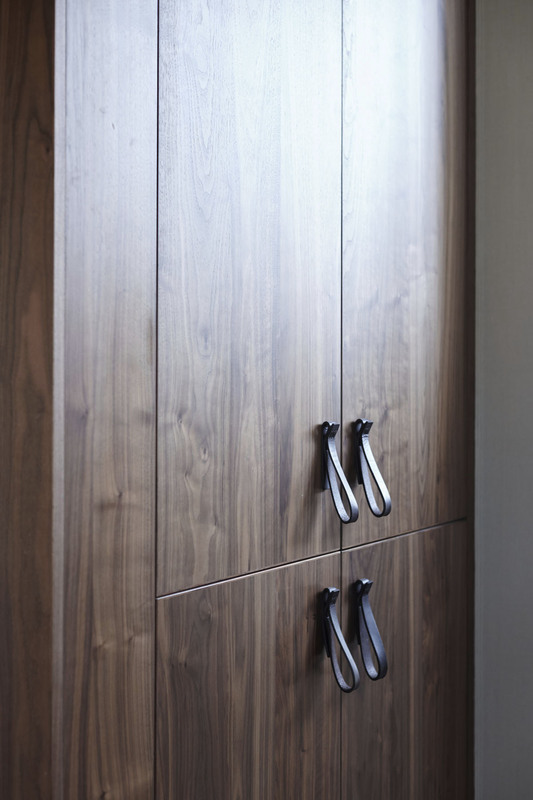 Our leather pulls provide a soft elegance, allow you to lean against them comfortably, and prevent clothes from getting damaged. 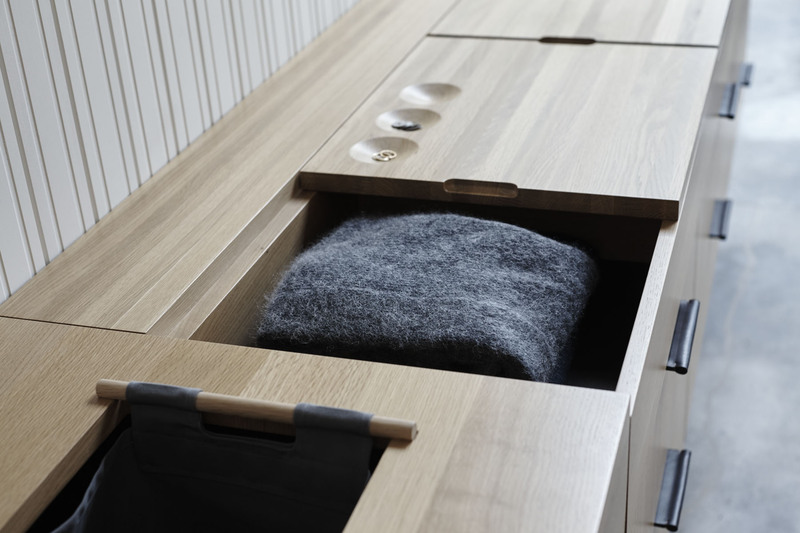 Hanging units can be configured in a variety of ways, with internal drawers and hanging above, as shown. Or with shoe shelves, two levels of hanging, shelves etc. 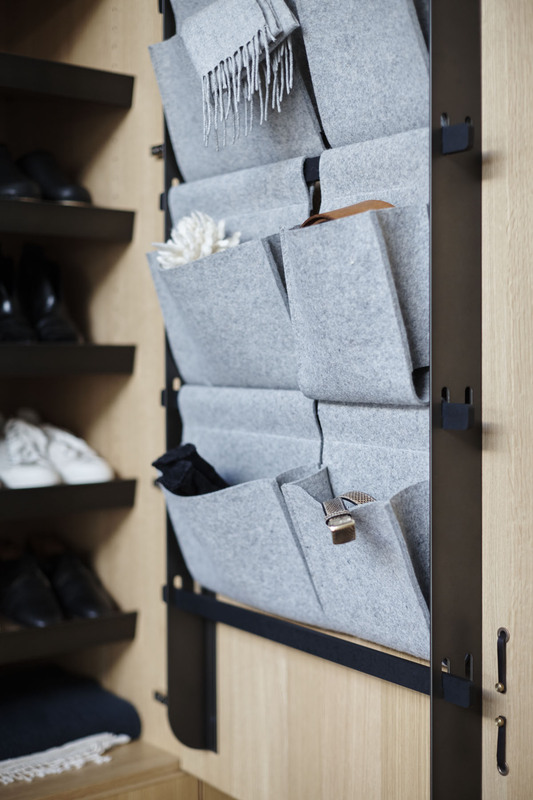 The adjustable door-mounted rack can be used for felt pouches, or as hanging bars for pants or ties. Interior lighting is an option. 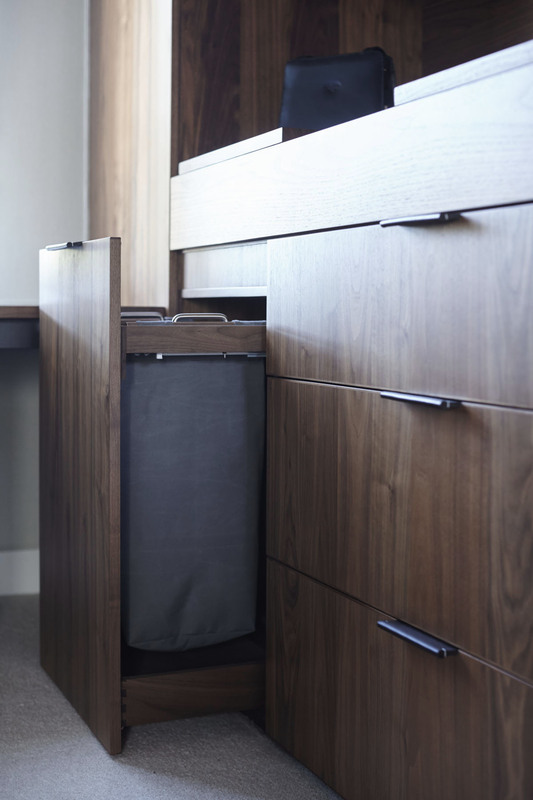 The Henrybuilt Opencase system can be used in small ways, or comprehensively, as here, to create a dressing space where everything is visible, and in which all components can be easily moved around if you decide you want to rearrange. 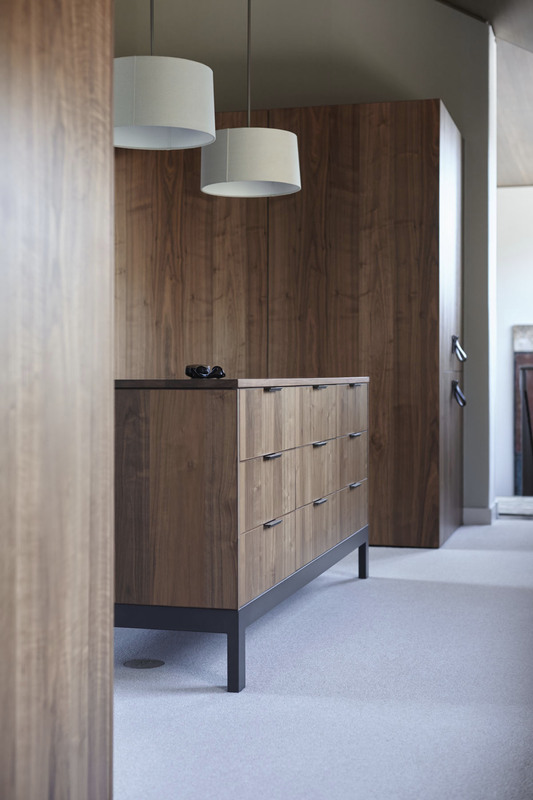 The best results happen when architecture and wardrobe configuration are seamlessly integrated. It’s about that ‘just right’ feeling.